Radiation Protection Products, Inc. (RPP) provided a number of materials for the construction of a new P.E.T./CT suite for Southdale Suburban Imaging at the Southdale Medical Center in Edina, Minnesota. The project included manufacturing interlocking lead bricks, lead lined plywood and sheet lead at various sizes and thicknesses to accommodate the shielding for for one P.E.T./CT scanner, one hot lab, one prep toilet, and three prep rooms. Most medical facilities use closed circuit TV or other video devices to monitor progress in P.E.T./CT scan rooms. 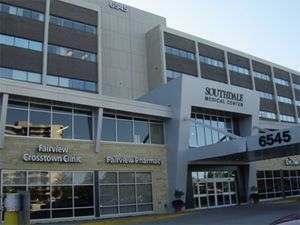 However, Southdale Suburban Imaging was insistent on having direct visibility into the scan room through a viewing window. This presented a challenge, as the window was to be set in a wall with 1/2" lead shielding requirements. The best solution was to stack four pieces of 1/8" leaded glass to create the window. However, this created visibility issues, and Radiation Protection Products had to develop a unique solution. A special frame was constructed which would hold the four sheets of leaded glass with 1/8" spacing between each sheet. After a number of tests at RPP's manufacturing facility, it was determined that visibility through the specially framed window would be more than satisfactory for Southdale Suburban Imaging's requirements. 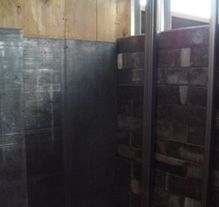 RPP also manufactured interlocking lead bricks, lead lined plywood, and sheet lead in various sizes and thicknesses for the construction of the scan room. With the combination of standard products and the one-of-a-kind specialty window solution created for the project, Radiation Protection Products showed their versatility and expertise. 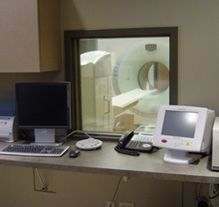 Southdale Suburban Imaging's P.E.T./CT scan room was completed in September, 2009. To learn more about Radiation Protection Products contact us or request a quote.